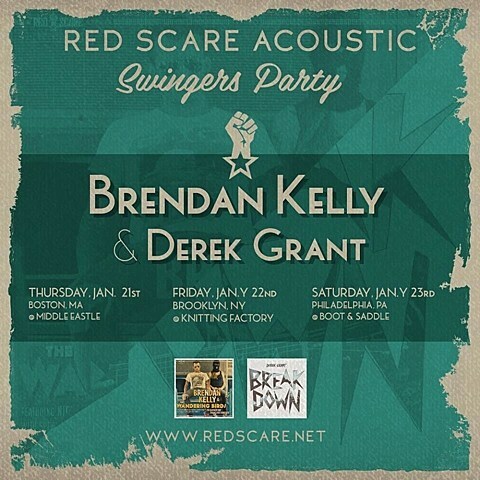 Lawrence Arms co-frontman Brendan Kelly and Derek Grant (who drums for Alkaline Trio and other bands and is also a solo artist) are going on the three-date ‘Red Scare Acoustic Swingers Party’ tour of the Northeast this January. It hits Boston, Brooklyn and Philly. The Brooklyn show happens January 22 at Knitting Factory with support from the constantly-busy (and always great) Mikey Erg. Tickets for that one are on sale now. All dates are listed below. 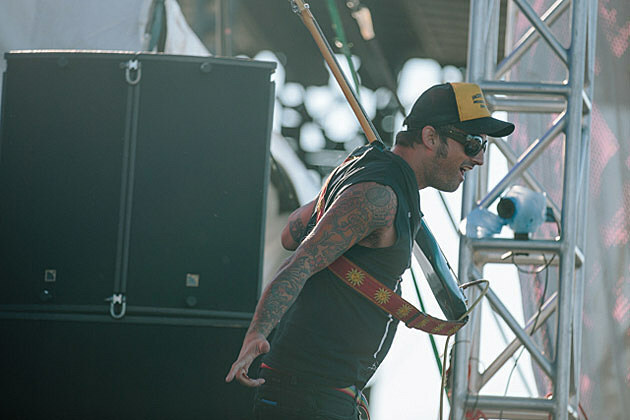 Mikey Erg was also added as support, along with The Fiendz, to the Weston / Digger co-reunion tour. That includes the NYC date happening this Saturday (12/5) at The Studio at Webster Hall (tickets). Since we last spoke, Digger also added a New Year’s Day show in PA with Bigwig, who play NYC with The Queers on 12/30. Mikey Erg also has a handful of other solo dates, including Suburbia (12/5) the same night as the Weston NYC show, with Anika Pyle (Chumped, Katie Ellen) and Lauren Denitzio (Worriers); the holiday benefit show at Shea on 12/14 with Cymbals Eat Guitars, Laura Stevenson and Antarctigo Vespucci (tickets); and the 12/16 date of Slackers keyboardist/vocalist Vic Ruggiero’s residency at Grand Victory (tickets). All Mikey Erg dates are listed below.